Anthony Pinciotti is a dynamic, innovative drummer well versed in jazz, rock, and world music. Based in New York City, Anthony performs and tours extensively with many of the most vital and forward looking musicians on the scene today. Some of the notable musicians Anthony has worked with are: James Moody, Dr. Lonnie Smith, John Abercrombie, Joe Lovano, Randy Brecker, Ira Sullivan, Kenny Werner, Mose Allison, Lew Tabackin, John Patitucci, Jim Hall, Bob Mintzer, Anat Cohen, George Garzone, Frank Foster, Benny Golson, George Mraz, Houston Person, Toninho Horta, Jerry Bergonzi, Stacey Kent, Gary Bartz, Rufus Reid, Vic Juris, Dave Liebman, Kenny Barron, and Sheila Jordan to name a few. Anthony’s passion for music became apparent when at the age of two he began playing the drums. At the age of thirteen, he started playing professionally throughout the Midwest, working with many Motown and Midwestern jazz greats. By the age of sixteen Anthony had started working with the great multi-instrumentalist Ira Sullivan and soon after relocated to Miami, Florida to be his drummer. After being offered a full music scholarship, Pinciotti briefly attended the University of Miami. 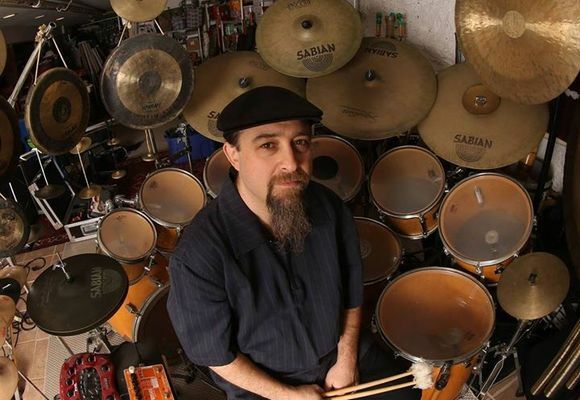 In 1994, Anthony moved to Chicago where he quickly became a highly sought after drummer who was consistently called on to back jazz masters touring through the area. In addition to being an in-demand sideman, he also led several successful groups containing members of the AACM and the Art Ensemble of Chicago. Anthony made the move to New York in 1998 and began working and touring internationally with many of the great musicians that make up the New York jazz scene. He has played at many of the most renowned venues and festivals around the world as well as appearing on numerous recordings. Anthony is also deeply committed to teaching and mentoring. He has given clinics and master classes around the world, as well as teaching at NYU, City University of New York (CUNY) and the New School for Jazz and Contemporary music. Through his love of music, meditation and metaphysics, Anthony came to realize the healing power of music, drumming and vibration. He began doing healing drum sessions and sonic meditations with people of all ages and now has clients across the country. He currently resides in Brooklyn, New York.